Atlas Piers are incredibly flexible. 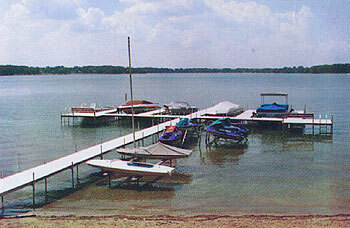 All sections interact with all others so if your needs change, so can your pier. 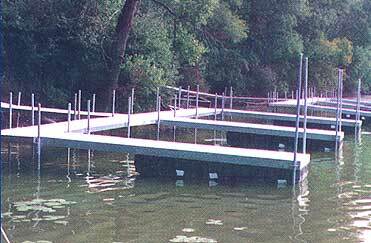 In addition, Atlast has a full selection of accessories, such as ladders, benches, and boat bumpers so you can customize your pier to your heart's delight. 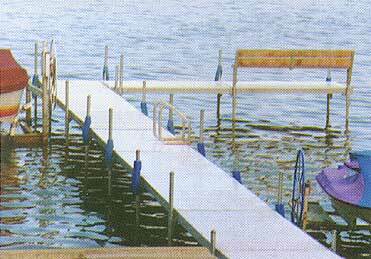 An Atlas Pier may be fitted with handrails to meet the needs of handicapped or elderly people. 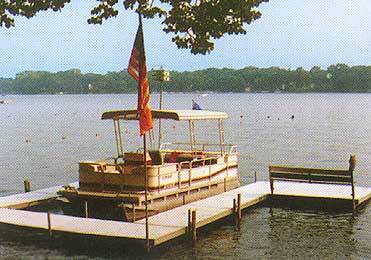 Also, Atlas floating piers and swim rafts are options for your on-water pleasure. 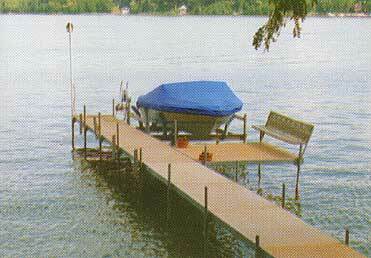 You can always add, or change your pier depending on changing waterfront conditions, or your personal choice. 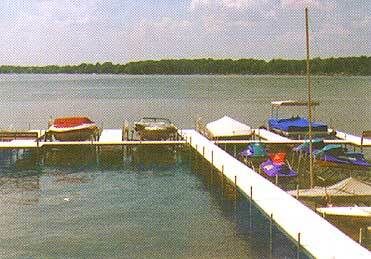 If you have water frontage, Atlas Piers has a way for you to enjoy it more - without maintenance, and always with designed-in versatility, convenience, and safety. An Atlas Pier is the best value for your money. With the simple building block design, the Atlas Piers system allows virtually unlimited layout flexibility. 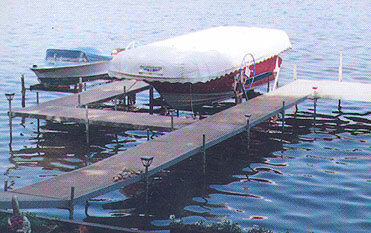 A variety of pier sections, paire with your selection of accessories, makes for an easily-customized pier system that suits your unique waterfront application.